Slow backup and restore time. In today’s video, I’ll show you how to leave content in File Share and surface it through SharePoint while leveraging the full capabilities of the platform, I’ll be using AvePoint’s DocAve Connector for this. You can watch the video from here. 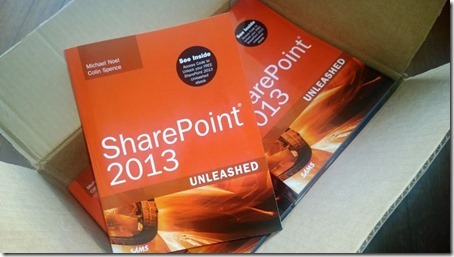 SharePoint Conference 2014, Call for Topics is Now Open! 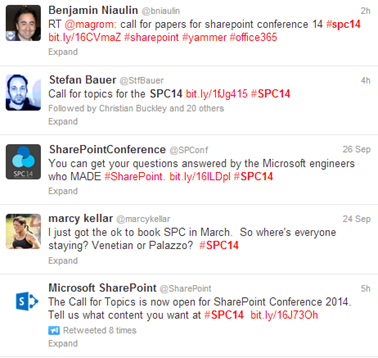 Today there has been a buzz on Twitter around SharePoint Conference 2014. Yes, call for topics is now open. This is really exciting! I just published a video that I’ve created with my friend Marwan Tarek (SharePoint folk & MVP) about Content Authoring in SharePoint 2013. This is the beginning of a series of videos about Web Content Management in SharePoint Server 2013 & Office 365. 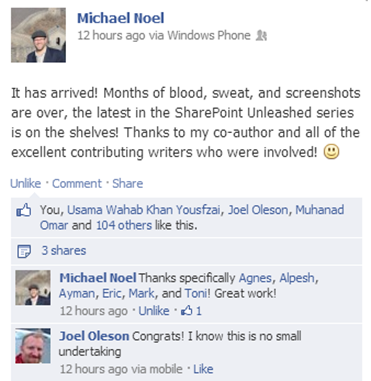 This is just a quick note to let you know that my second book as a Contributor Author (SharePoint 2013 Unleashed) has been finally released. I’d like to thank the main authors of the book (Michael Noel and Colin Spence) as well as all the contributor authors for their huge efforts. I’m really glad to be part if the team behind this book. You can buy the book from here. The TFS 2013 Power Tools are finally available. There’s no new features in this release but there are a fair number of bug fixes and the Power Tools have all been updated to work with VS 2013 and TFS 2013. Also, the version checking has been changed so that these Power Tools will also work with VS 2013 Updates – so you don’t have to wait for a new version of the Power Tools for every VS Update. And, of course, these will work with VS 2013 RTM. Here is a quick demo that explains how to directly migrate from SharePoint 2007 to SharePoint 2013 with zero downtime. You can watch the video from here .